Do You Take This Man? - On Sale! 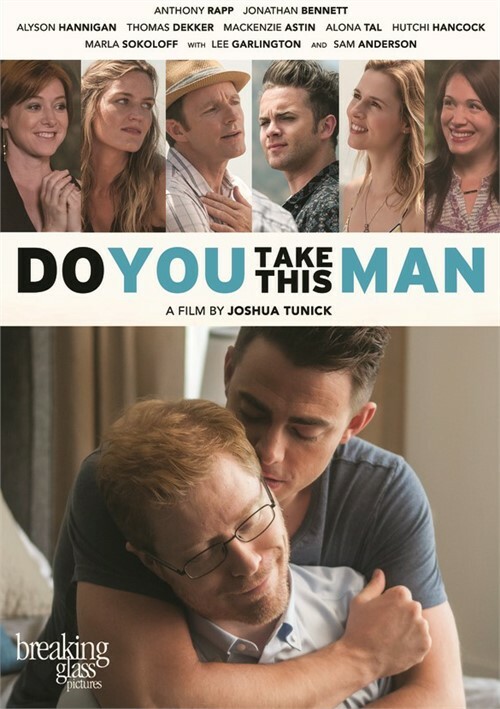 Do You Take This Man follows an intimate group of friends and family as they gather at the home of two gay men (Anthony Rapp and Jonathan Bennett) to celebrate their nuptials. When the wedding hits a snag, this group helps the grooms to see that all marriages have their challenges, and love is just the beginning. "Rent" star Anthony Rapp leads an impressive ensemble cast in this touching comedy-drama about a long-term gay couple having last-minute jitters before they get married. Co-starring familiar faces like Thomas Dekker, Mackenzie Astin, Marla Sokoloff and "How I Met Your Mother" and "Buffy the Vampire Slayer" star Alyson Hannigan, Do You Take This Man is a realistic and absorbing look into what it takes to make a relationship work in this day and age. A massive hit on the LGBT Film Festival circuit, the movie screened as an official selection at Outfest Los Angeles, ImageOut and many, many more.